On a massive site with lots of parent and child pages, you may not want to have a mega-menu with every single page in it. 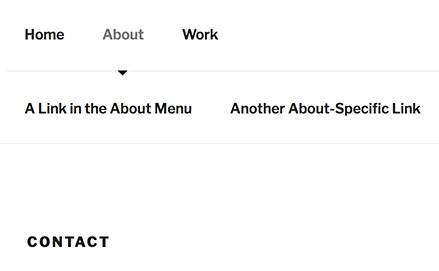 A possible solution is to conditionally display a second level of navigation, which contains different submenus depending on which page you’re viewing. A quick way to do this could be to check whether you’re viewing a child page, and if you are, list all fellow child pages of its shared parent page. This doesn’t give you any control over the order, or let you exclude certain child pages. Ideally you’d be able to create these various submenus under Appearance → Menus, giving you the same amount of control as your main menu. It would be tedious to have to go back to the code every time you want to add a new submenu, though. 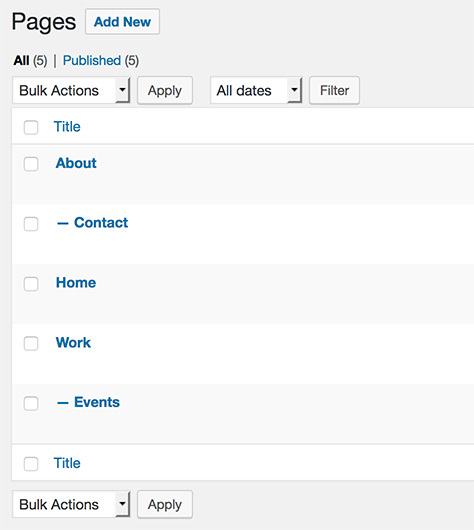 What about dynamically creating menu locations based on your current page hierarchy? Before you do anything else, create an empty array called “menus”, which we’ll use a bit later. // We have at least one child! Which makes this page a parent. In this screenshot “Top Menu” and “Social Links Menu” are locations that came with the theme, Twenty Seventeen. The first two locations (“About Menu” and “Work Menu”) were dynamically created because those pages have children. 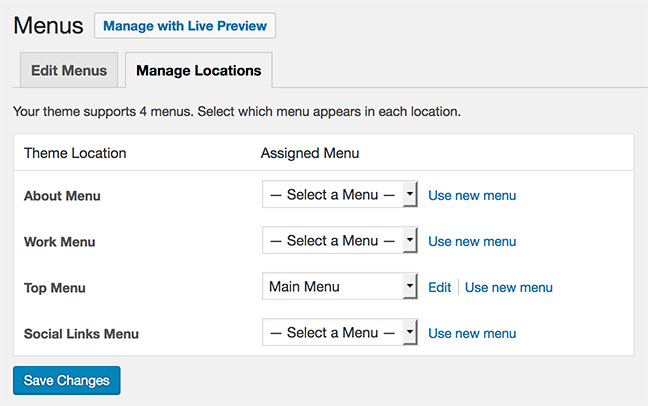 Switch to the “Edit Menus” tab, create menus for each of these new locations, and select the appropriate one under “Display location” (or come back to the “Manage Locations” tab and assign them there). // We have a menu at this location! The menu is not just listing the page’s fellow children of “About” – the possibilities are endless! The first block of code that registers your menu locations should go in your theme’s functions file. The second block of code, which actually outputs the menu, should go wherever you want this to happen – most likely in your header file, next to the main navigation. 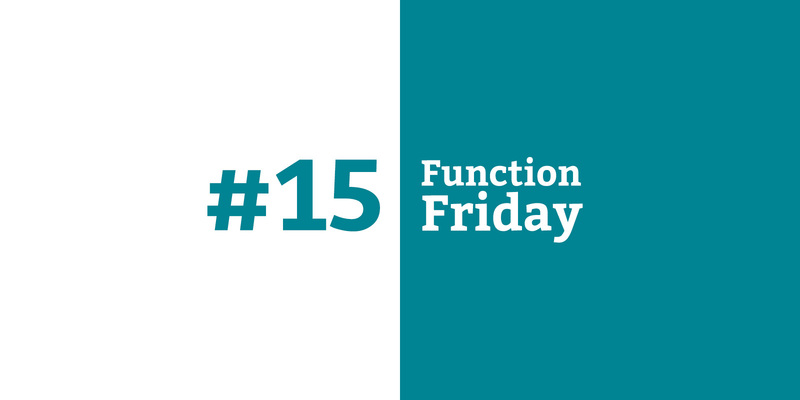 I wrote about where to put your customizations in the first Function Friday post. Thank you, I have been trying to find a solution like this for three long days! easy to understand even with my limited coding knowledge, worked first time.